You have as much holiday spirit as the next person, but this time of year can feel overwhelming. 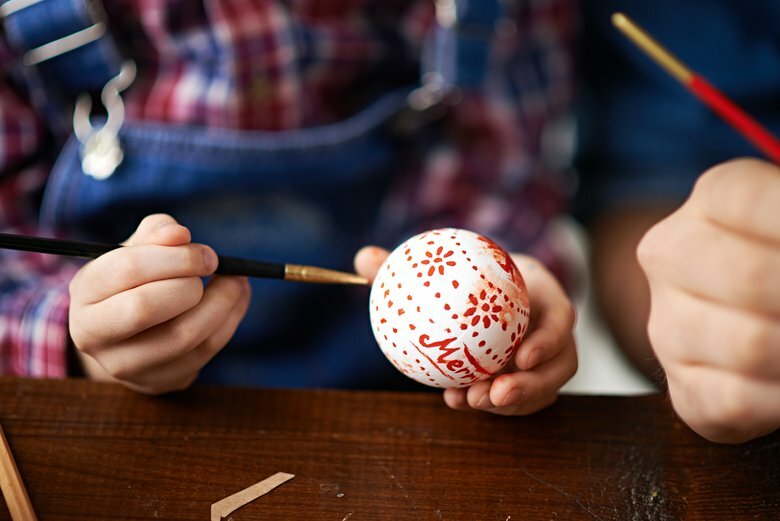 With holidays like Hanukkah, Christmas, Kwanzaa and New Year's all crammed into a short time period, there seems to be a never-ending list of holiday must-dos. >Find extra holiday help to keep your spirits bright this season. While it's important to enjoy the holidays, balance is still key, according to psychotherapist Dr. Karen Ruskin, author of "9 Key Techniques for Raising Respectful Children." "Know thy children, and know thyself." Balance spending time doing activities and spending time with each other. Also balance activities that appeal to everyone’s interests -- even your own. The Crafty Chica, Kathy Cuno-Murillo, agrees, saying, "As parents, we need to set the example. We need to show our kids that the holidays are not all about shopping, hustling and commercialism, but about connecting and celebrating the season together. It sounds cheesy, but the best gifts are the ones you give to others. Baking, crafting, visiting relatives -- make this the foundation of the holidays, so they will adapt this early in life." Here are 101 activities sure to entertain your kids -- and you -- all season long. Narrow down the list to a few manageable favorites. And share them with your nanny or babysitter to do with your kids, too! Trace your child's hands to make classic decorations in the shape of turkeys. Create a Thanksgiving Day centerpiece for the table. Decorate a jar and have the kids fill it with things they are thankful for. Take turns reading them during Thanksgiving dinner. Build a turkey out of Legos. Let the kids roll out your pie dough. Rake leaves and jump in the piles. Create turkey finger puppets and stage a show. Bundle up for a visit to the zoo to wish the animals a happy holidays. Make a turkey piñata to break open on Thanksgiving. Walk off your turkey dinner with a scavenger hunt. Giftwrap your favorite holiday books, then open one each night to read before going to bed. Sort through old toys to make room for new ones you'll be getting. Play a family game of football. Write a letter to Santa, but only include gifts for other people. Watch a tree-lighting ceremony -- either in your town or the big one in Rockefeller Center. Help out people in your community -- find opportunities through VolunteerMatch. Spend a day making Christmas cookies -- try out new recipes. Be inspired by Jimmy Fallon and film a video of you and your kids singing the classic "All I Want for Christmas." Have an ornament party, where everyone makes an ornament out of construction paper and glitter to add to your tree. Pose for a holiday card photo -- then do a silly one just for your family, maybe inspired by Awkward Family Photos. Take your favorite Christmas song and make up new words to the music. Assemble holiday cards -- even little kids can put on stamps. Find the North Pole on a map and talk about what it must be like to live there and what Santa's workshop may look like. Make cards to send to the troops. String popcorn for edible decorations. Start a snowball fight -- or a game of catch if you're in a warmer climate. Go on a nature walk and talk about how things are different during the winter. Visit a tree farm to buy a tree. Test out different recipes for hot chocolate and pick your favorite. Share your favorite holiday memories from when you were a child. Have a holiday movie marathon -- each person gets to pick their favorite film. Adopt an Elf on the Shelf. Make a snow man. No snow? Created an edible one with shaved ice -- snow cone style. Go caroling in your neighborhood. Make your own candy canes with older kids. Visit a nursing home and pass out holiday cards. Create luminaries and set them up along your driveway. Say hello to Salvation Army Santas that you pass. Make snow angels -- or even a birdseed snow angel. Have a picnic under the Christmas tree. Reuse holiday cards you receive -- cut out images to make one big holiday card collage or repurpose them as gift tags for your presents. Organize a gift exchange for your kids’ circle of friends. Make your own nativity scene out of paper. Head to a local holiday light show or walk around your neighborhood to look at decorations. Bake special snacks to set out for Santa. Don't forget carrots for the reindeer, too! Make your own Christmas village out of paper houses and crafting supplies. Visit a local museum that has a holiday exhibit. Buy an advent calendar to count down until Christmas. Use play dough to make holiday shapes. Plan an extra-special Christmas morning breakfast that everyone can help make. Dip pretzels in chocolate and red and green sprinkles. Play a game of dreidel. Make a menorah with flames out of construction paper. Bake Star of David cookies. Put together a holiday-themed puzzle. Make a healthier version of a coconut macaroon. Create a wreath out of Stars of David. Learn how to roast chestnuts. Make homemade wrapping paper using stamps, stickers and markers. Play a game of pin the candle on the menorah. Write a poem about Hanukkah. Make your own gelt to celebrate the holiday. Make cheese coins, rather than chocolate ones, by using a cookie cutter on bread and topping it with melted cheese. Light a kinara for Kwanzaa and teach kids about the holiday. Blindfold your kids and play the African game of Mbube. Roll dried corncobs in paint (red, black and green are Kwanzaa colors) and make a painting. Make an African drum using an empty coffee container. Construct a wreath out of construction paper hands. On New Year's Eve, count down to noon instead of midnight, so kids don't miss their bedtime. Make a Resolution Tree by writing down resolutions and tying them to the Christmas tree -- try to guess which one belongs to each person. Have an indoor treasure hunt. Make noisemakers out of empty water bottles. Blow up balloons and decorate a room for New Year's. Create party hats out of construction paper. Jump on bubble wrap to ring in the New Year. Celebrate the Spanish custom of eating 12 grapes at midnight for good luck. Fill plastic eggs with confetti to break open at midnight. Play indoor volleyball using a balloon. Teach kids about time zones and geography by getting a map and finding each country as it rings in the New Year. Go around the room and have each person name one good thing that happened this year, then keep going and see if you can do it 12 times -- one for each month. Hide a clock and get your kids to find it before the alarm goes off. Set up a slumber party for New Year's Eve. Decorate your own ball to "drop" at midnight. Practice counting down from 12. Look back at photos from the past year and have the kids guess what event they're from. Create a family time capsule made of drawings and written memories. What are your favorite holiday activities to do with kids? Share them in the comments section below. Elizabeth SanFilippo is a freelance journalist based in Chicago. Some of her work can be found here.